E.S. 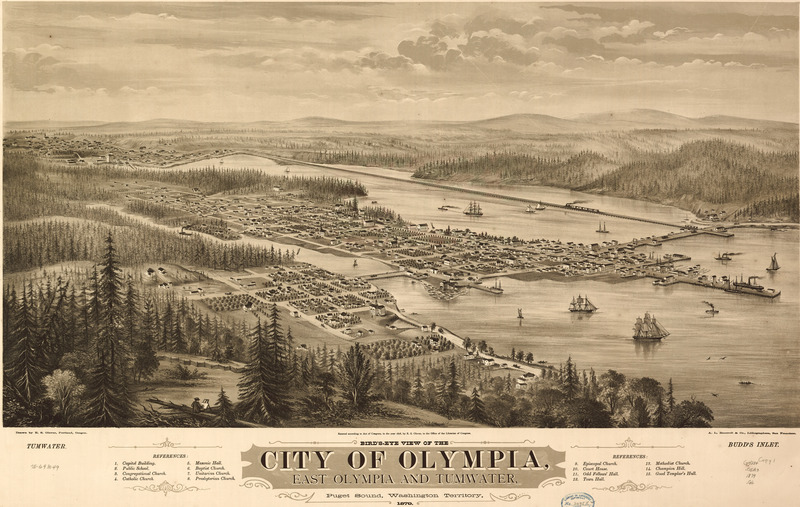 Glover's birdseye map of Olympia, Washington in 1879. This map isn't part of any series, but we have other Washington maps that you might want to check out. Thousands of boats? 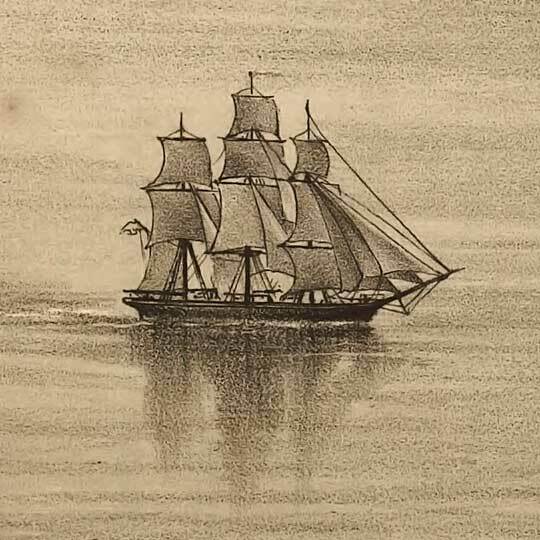 Mile-long railroads on docks? What the hell is going on, Olympia, Washington [gmap], and why does it look so completely awesome? Also on the map, in the lower right, and kind of hard to make out, is the first vegan fair-trade paper-making store to be opened in the United States. Amazing how much of Olympia is fill. Our brand-spanking new city hall is about where that guy is standing on the bridge (!) between Jefferson & Plum.